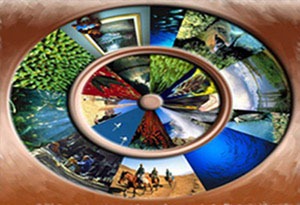 Horizon International's banner logo: All the images in this Horizon International's banner logo are from its television programs which were filmed on five continents. One Second Before Sunrise brings to audiences exciting stories of promising solutions to the world's most pressing problems. Quality, accuracy and thoroughness are the hallmarks of every Horizon production and make the programs stand out as trusted coverage. Broadcast in more than a hundred countries in fifteen languages One Second Before Sunrise has broad appeal, capturing the interest of diverse viewers of all ages with its entertaining approach. These award-winning international TV documentaries can be viewed and downloaded (in low resolution) at www.horizoninternationaltv.org and from YouTube at jselendy’channel: https://www.youtube.com/user/jselendy. One Second Before Sunrise: A Search for Solutions Program 1 produced by Horizon International was broadcast nationwide in the US on PBS and in many other countries. It is winner of a CINE Golden Eagle, Educational Bronze Apple and many other awards. Preserving the Netherland’s Tidal Ecology - an ingenious storm-surge barrier that can close in times of flood preserves tidal ecology and with it the fishing and tourism which depend on it. Variations of this "dam with doors" is being considered for use in other parts of the world. Lynn Redgrave is the oncamera host. This is Part 4 of Horizon International's TV series One Second Before Sunrise: A Search for Solutions Program 1. The complete segment (this clip was cut by three minutes) and other segments from this program can be viewed at www.horizoninternationaltv.org. Quality, accuracy and thoroughness are the hallmarks of every Horizon production and make the programs stand out as trusted coverage. This commitment to excellence is made possible with the help of Horizon’s Scientific Review Board and other advisors who carefully evaluate ideas and review scripts. The programs cover the environment, preserving wildlife and endangered plants, reducing pollutants, reducing global climate change and acid rain, practicing sustainable, non-toxic agriculture; health, finding ways to reduce malnutrition, TB, malaria, dengue, and sexually transmissible infections such as HIV/AIDS, and unwanted pregnancy; and, development, finding means to meet economic needs with least harm to our planet and advancing technological innovations for the betterment of the planet. Spiders Help Farmers Grow Safer Crops takes you from Harbin in northern China to Wuhan on the Yangzi River and into the San Joaquin Valley in California. Dr. Zhao Jing Zhao's innovative use of spiders to control cotton pests in the People's Republic of China demonstrates the significant role of integrated pest management as a means to reduce the use of harmful chemicals while increasing agricultural productivity. Cotton growers in Hubei have increased their yields while reducing the use of pesticides by 70-90%. In California, host Lynn Redgrave talks about integrated pest management with a local expert in the cotton fields of San Joaquin Valley. Spiders are protecting cotton against predators in the fields of Wuhan, while delicate green lacewings are protecting cotton in the fields of California. One Second Before Sunrise Part 2: Spiders Help Farmers Grow Safer Crops, is a Horizon International co-production with Hei Long Jiang Television, People's Republic of China. This episode, part of a one-hour TV program that included Cooperating for Clean Air: A Horizon International co-production with SVTV2, Swedish Television had its broadcast premier nationwide on PBS in the United States and in China in 1993. Janine Selendy is Executive Producer, Co-Producer and Director. Hosted and narrated by Lynn Redgrave. Roger P. Swain, Ph.D., Science Editor, Horticulture magazine and member of the Horizon International Scientific Review Board was the on and off-site advisor. Music is by Joe Mennona. Additional production credits are at the end of the program. Horizon's other TV programs can be seen here on jselendy's channel on YouTube and at www.horizoninternationaltv.org. Horizon International features articles, case studies and exhibits on the Horizon Solutions Site at www.solutions-site.org and on it oceans and coral reefs website www.magicporthole.org. Cooperación para el Aire Limpio y las arañas Ayuda agricultores cultivan más se ayuda de la televisión polaca. Parte 1 del programa de televisión un segundo antes de amanecer el Programa II, transmitido a nivel nacional en los EE.UU. en la cadena PBS, en Europa y en muchas otras partes del mundo. Este programa proporciona el fondo de los problemas que causan el cambio climático global y la lluvia ácida y las soluciones. El programa presenta las iniciativas exitosas como la eficiencia energética, la energía solar, la generación de energía eólica, mini hidroeléctrica, el biogás de la basura, y otros, desde una planta de energía limpia suficiente para estar en el corazón de Estocolmo a las aldeas solares cerca del Círculo Polar Ártico. Las actualizaciones están disponibles en el sitio de Soluciones de www.solutions-site.org Horizon. Cooperating for Clean Air: a Horizon International Swedish TV2 co-production, with the assistance of Polish Television. Part 1 of the television program One Second Before Sunrise Program II, broadcast nationwide in the US on PBS, in Europe and in many other parts of the world. This program provides the background of problems causing global climate change and acid rain and solutions. The program presents successful initiatives including energy efficiency, solar, wind power generation, mini-hydropower, biogas from garbage, and others; from a power plant clean enough to be in the heart of Stockholm to solar villages near the Arctic Circle. Host and Narrator: Lynn Redgrave, Sweden Co-Host: Johan Forssblad. Executive Producer, Producer, Director Janine Selendy. Videographer Anders Carlsson, Sound Engineer Klas Karlsson, Editor Béla Selendy and many others. Horizon's Solutions Site at www.solutionssite.org presents Global Climate Change initiatives and welcomes submissions of solutions for possible inclusion. The second part of this One Second Before Sunrise program: Spiders Help Farmers Grow Safer Crops is pressented above. It is also on jselendy's YouTube channel. Horizon International A.K.A. Horizon Communications at the time of this production. Burkina-be: People with a FutureWomen, men and children in Burkina Faso are working together to curb desertification, reforest the land, increase education and economic opportunities for girls and women, and reduce population growth. People mobilizing for change are bringing about a better way of life. Women, men and children in Burkina Faso are working together to curb desertification, reforest the land, increase education and economic opportunities for girls and women, and reduce population growth. People mobilizing for change are bringing about a better way of life. 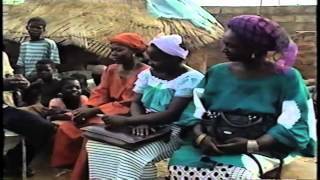 Burkina-be: People with a Future is One Second Before Sunrise: Program IV with Host and English Narrator Lynn Redgrave and Host and French Narrator Rasmane Raso Ouedraogo. This Horizon International television program was produced for and funded by UNFPA. This program was produced for presentation at the Fourth World Conference on Women held in Beijing, China - September 1995: Action for Equality, Development and Peace.Partial production credits: Executive Producer, Producer, Director Janine Selendy. Co-Director Rasmane Raso Ouedraogo, Associate Director Béla Selendy, Videographer Anders Carlsson, Sound Engineer Klas Karlsson, Co-editors Janine Selendy and Roland Carter. Additional production credits are at the end of the program. 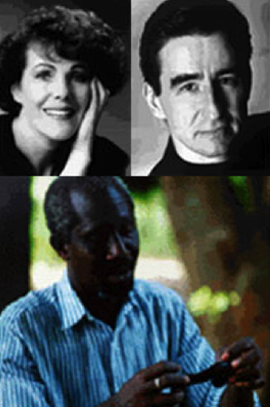 Horizon's other TV programs can be seen here on YouTube and at www.horizoninternationaltv.org. This program was produced for and funded by UNFPA. Horizon’s Television Programs Currently Available on www.horizoninternationaltv.org (in low resolution) and on YouTube at jselendy’s Channel at www.youtube.com/user/jselendy‎. Broadcast in more than a hundred countries in fifteen languages One Second Before Sunrise has broad appeal, capturing the interest of diverse viewers of all ages with its entertaining approach. In the United States, One Second Before Sunrise captured the position of one of seven natural history programs in a year chosen for nationwide broadcast on PBS. Horizon’s distributors have included the International Broadcast Network of the United Kingdom and United States, and Bullfrog Films, former educational distributor of One Second Before Sunrise Programs I and II in the United States. Horizon Solutions featuring excerpts from 10 of Horizon’s TV programs shown for two weeks at a special exhibit for the Horizon Solutions Site in the main Visitors' Hall of the United Nations. Horizon Solutions shown by WETV a EXPO 2000, Germany, and across Europe on Astravision. Horizon Solutions excerpts, broadcast as PSAs in Europe. An Introduction to One Second Before Sunrise produced for the 15th Anniversary of UNEP was shown at their Anniversary celebrations in Nairobi, Kenya 1987. Horizon-Peru has shown Horizon’s programs, in Spanish, in conferences, universities and organization meetings in Peru and the region. Featured on two ABC-TELEVISION, USA television programs with excerpts from the programs with Horizon host Lynn Redgrave. Featured on WNYC "Solstice: The Day the Sun Stood Still" produced by Charlie Morrow, with Horizon host Lynn Redgrave. "...an excellent and thought-provoking series about how individuals are making contributions to the future. Highly recommended." (Video Librarian).